High flying Manchester City, who are coached by the genius of Pep Guardiola, along with the huge Qatari spending machine behind them, sit proudly at the top of the Premier League, but last night they played in the Carabao Cup at home against the Wolverhampton Wanderers, which was set to be a high scoring game, as predicted by football experts. However, that didn’t exactly happen. The match finished 0-0 after full time, and then went to penalty kicks. Manchester City fielded their so-called second string of players, and give chances to less experienced players. The line-up included Sergio Aguero, Gabriel Jesus, Raheem Sterling, Yaya Toure, Bernardo Silva, and even substitute appearances from Kevin De Bruyne and Leroy Sane. Despite all of these guys trying their best to help out, nobody was able to find the back of the net. When the match was still 0-0 at the end of extra time, it was the chance for Chilean goalkeeper Claudio Bravo to redeem himself after a disastrous first season last year, after taking the reigns from the outcasted England goalkeeper Joe Hart. The stage was set, and Claudio Bravo didn’t disappoint when he saved two penalties, making Manchester City the run out winners with a 4-1 penalty kick scoreline. This is where it gets interesting. 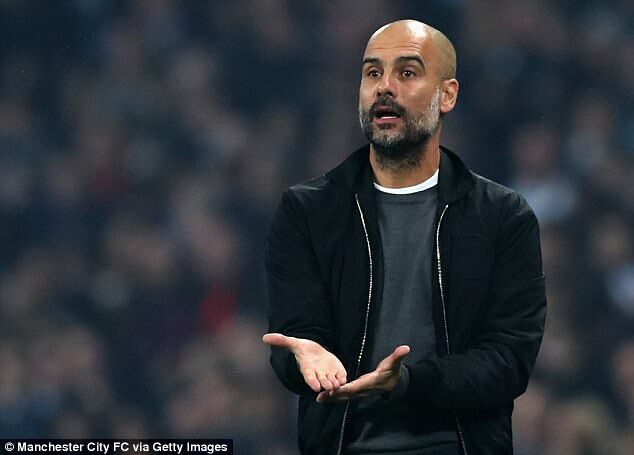 After the match was over, Pep Guardiola blamed the classic English Mitre ball used in the match as the cause for the team being unable to score during the game. At first it sounds ridiculous, as we can all remember playing with Mitre balls when we were youngsters and sure enough, there were goals, but is there something inherently different in the design of the Mitre ball nowadays which is officially used in the Championship League, League One and League Two, in the immediate divisions below the Premier League. In the Premier League, the official match ball is the Nike Order V and not the Mitre Delta EFL, so Guardiola called out the ball as the problem, deeming the ball “unacceptable” for professional football. Guardiola stated post-match, “I’m sorry, Carabao Cup, it is not a serious ball”. We suspect that Mitre as a company will be waking up to this news and think”balls to that” today, but perhaps Guardiola may have a point. Pep surely didn’t do much for the consumer interest in their more expensive ball, as a result. Yes, the Mitre Delta EFL ball costs £115, whilst the Nike Order V costs £99 in comparison. Pep reiterated his beliefs, “The ball was unacceptable for a high-level competition. It is too light. It moves all over the place. It is not a good ball. It’s impossible to score with a ball like that, and I can say that because we won. I’m not making excuses. All of my players said: “What is that?”. Apparently, the Mitre ball isn’t much to the Manchester City teams liking. Will the competition now reconsider using the ball for next year? That doesn’t seem likely, but we all know that playing with a different ball can make all the difference. So, with all that money available at Manchester City, will they now buy a whole Championship team of players for next years contest who are used to playing with that exact ball? Man, that sounds almost as like you’re selecting a totally new side within FIFA 18 Ultimate Team to comply with a new Online tournament. Haha, well they could with all that Qatari cash. Lastly, Pep Guardiola praised the often ridiculed goalkeeper, Claudio Bravo, for his performance in saving two penalties on the night. They’ll play with the Nike ball again this weekend, when Manchester City face West Brom at the Hawthorns in the Premier League. So, is Pep just getting his balls in a twist or is it simply sour grapes? Is there some substance to what he’s really saying? Tell us in the comments section below, if you’ve had a go with either of the balls.